Every day, we create our food from scratch by infusing our Malaysian heritage into a delectable menu of home-cooked asian comfort food. Even though we wish we could stay open through all hours of the night cooking tasty meals for our fans, we cannot. That is why we are here to offer some Ejji pro tips. With these hacks, you will be able to enjoy your favorite Ejji flavors at home! At Ejji, we like to “play with our food”, meaning experiment. 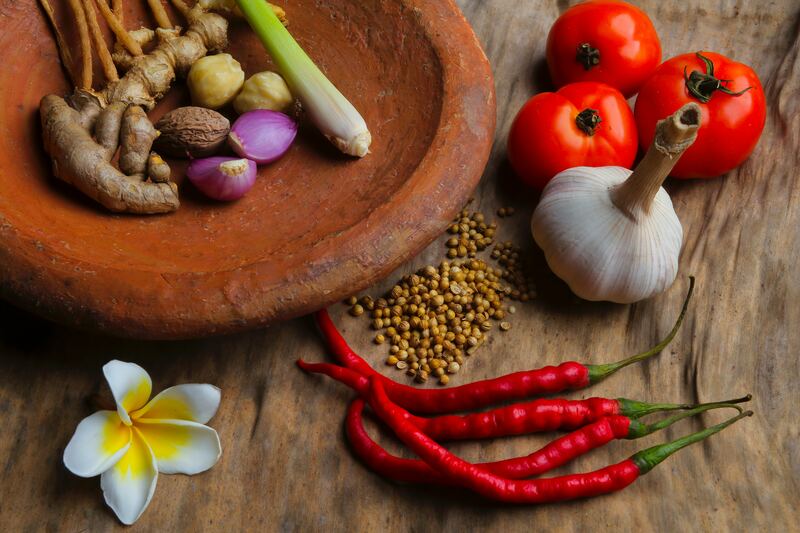 We enjoy exploring with exotic spices, ingredients, and flavors. Some of our favorite spices and mix-ins are: fresh ginger, lemongrass, turmeric, chile peppers, curry powder, and fresh green herbs. You can add these ingredients to your homemade ramen to give it the extra kick we like to add at Ejji. So, let’s get one thing straight- if you want to cook any asian meal at home and don’t have these condiments and spices in your pantry, put the phone, laptop, or whatever device you’re using to read this down, and head to your local asian market right now. Okay, that covers Rule 1 and 2. Let’s move onto Rule 3. What’s umami? Umami is one of the 5 main food flavor characteristics. They are: sweet, sour, salty, bitter, and umami. In order for a food item to be considered “umami” its flavor must spreads all over your tongue, linger in your mouth, and trigger saliva. Umami can be found in various foods such as, tomatoes, onions, cheese, and mushrooms or meats. 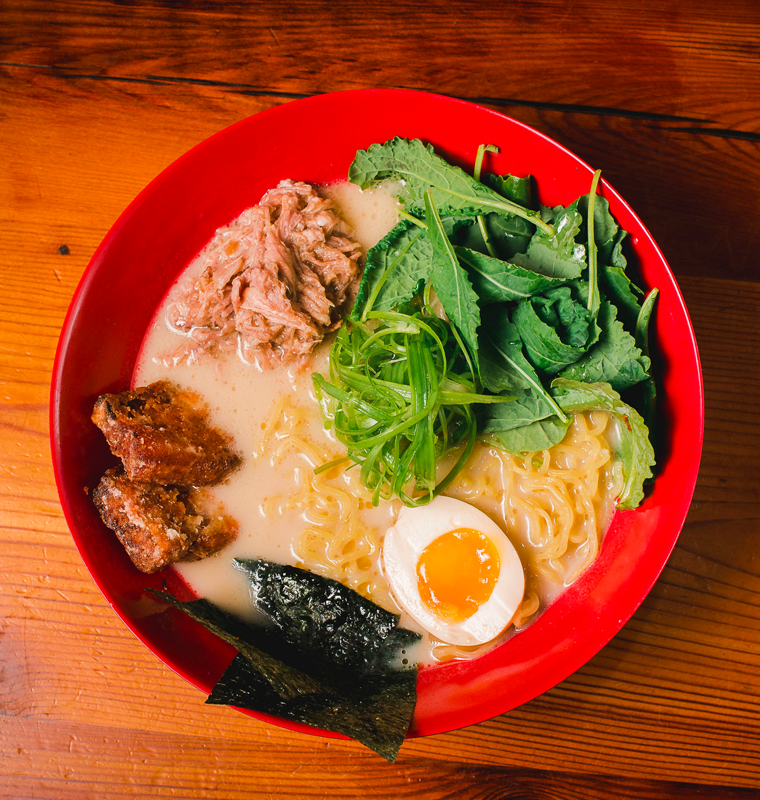 Read our blog post to learn more about experiencing umami. You can find tons of fun topping combos for your asian cuisine online. Make sure to read our blog posts regularly to learn about the different toppings we like to use in our dishes so you can try them at home. If you love our steamed buns, then you must check out this Chef Ten approved recipe for Scrapple Steamed Buns, created by Extra Crispy. *Ejji Pro Tip* Experiment with various proteins and toppings in your steamed buns. Every dish at Ejji pairs well with our Pickled Shishito Peppers. You can make your own to use in your meals when you are having an Ejji craving after hours. These are great to make in bulk, because you can store them in the fridge and use them in your favorite recipes all year long! To make pickled Shishito Peppers, first, slice peppers into bite sized pieces. Then, simply marinate them in fish sauce and vinegar. You can do this in equal parts, or use less fish sauce if you want less of an “ocean” flavor. Now You’re an at-home Ejji cooking expert too. Happy cooking!